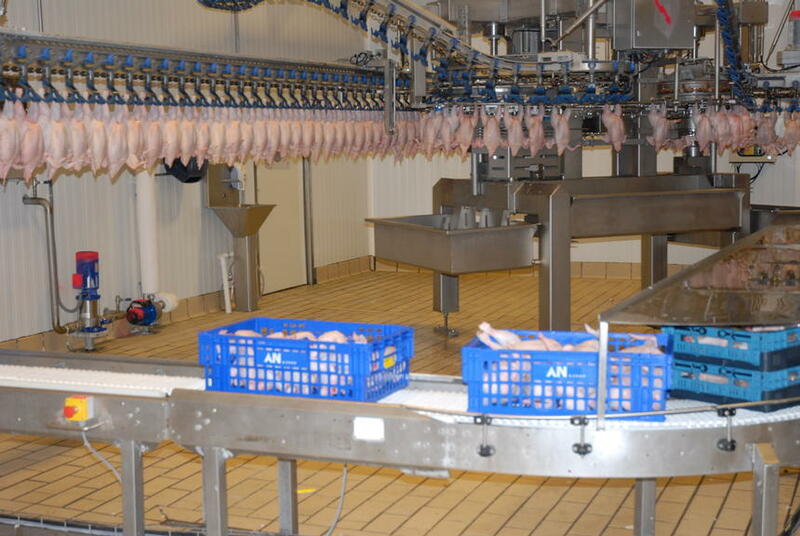 This project involved establishing a plan for poultry slaughter and processing in a single production line, aiming to increase cost efficiency and add value. The poultry industry in Europe is made up of different farms, each one representing a step in the productive line: layer breeders, incubation, broiler breeders, feed factories, slaughtering, processing and marketing. In 2000, the producers` cooperative AN S.Coop considered the possibility of integrating these steps within a whole production line in order to be more cost efficient and market-orientated. The main objective is to integrate the slaughtering and quartering in a whole production line with highly favourable health, quality and welfare conditions. This is expected to increase cost efficiency and add value. The main activity was the construction of a new plant for the slaughtering, quartering and packaging of poultry. This means investments need to be made in order to absorb the increasing demand created by the closure of older slaughterhouses. As a result, the cooperative works more closely with retailers while reducing dependency on wholesalers. On the other hand, traceability and security have been also important benefits of the project, together with a better capacity to react to market changes. One of the major challenges has been the design of a flexible and market-orientated processing plant which are both key elements for its success. Demand is constantly changing and so it is important to react to demand quickly as possible. In this regard, the design of straightforward investments is also key in order to be flexible, avoiding additional administrative steps wherever possible.